Indigene Paraxu eLiquid by Manabush | Electronic Cigarette Co.
Paraxu - a seductive blend of Turkish Tamahaac tobacco base with fox grape. The core Tamahaac base flavouring is a blend of tobaccos sweetened with fig and other cunningly blended complimentary flavours. Tasting notes: A blend of tobacco flavourings, fig, Turkish tobacco, light rose, fox grape. Indigene/Manabush will tell you their juices generally taste best with a cotton or silica wick (that's the stuff inside the coil) at not too high a temperature - to them the sweet spot seems to be just on the cusp of being warm. The flavour changes quite dramatically at different temperatures so feel free to experiment. You don't need a high power device to get the best from this juice. 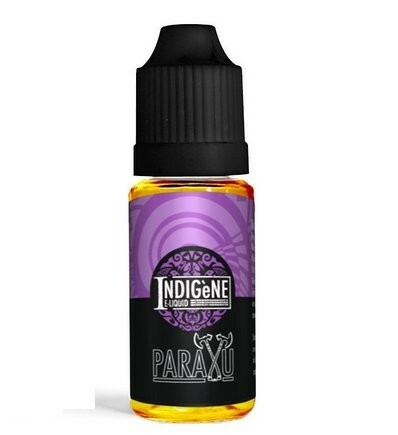 1 x 10ml Indigene Paraxu e-Liquid.